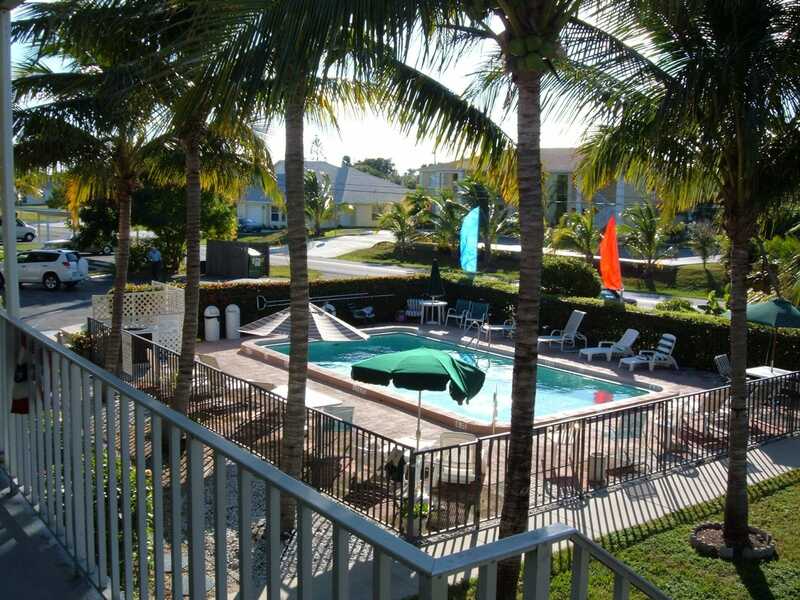 Looking for Waterfront Suites & Rooms in Cape Coral? Hidden away in the heart of Cape Coral, Florida…The Hideaway Waterfront Resort and Hotel earned it’s reputation as a”hidden away” hotel…hidden from the hustle and bustle, and surrounded with the tranquility of a heated pool, white sand, established palm trees, flowering shrubs and water features (yet only four blocks from the downtown area). You’ll also find resort amenities including tiki huts and boat slips. We’re one of Cape Coral’s local pet- friendly hotels, too! Booking is easy! …and the best rate is right here. Other discounts may apply! Price plus tax. See reservations schedule to confirm pricing. Call us now at 239-542-5812 or make your reservation here! Booking is easy! ...and the best rate is right here. A hotel and resort where you can relax… on our tiered deck by the waterfront, with tiki huts, guest barbecue, hammock and lounge chairs, stretching out over an oversized waterway which leads to the Gulf of Mexico. 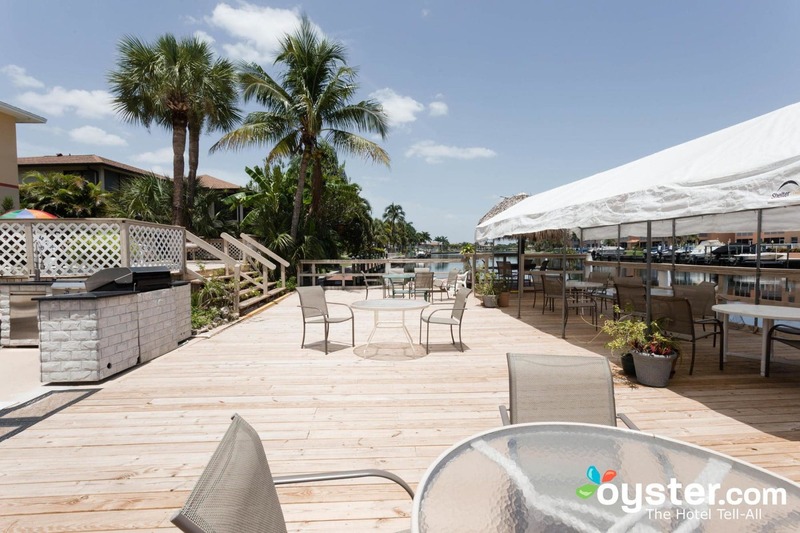 The 2500 sq ft deck extends out over the waterway complete with tiki huts, hammock, boat slips, guest barbecue, coconut and palm trees. Bicycles available on-site. Spectacular sunrises await you each morning. See a guest-made video on YouTube (below, video features a Guest Room). Cape Coral Weather is great all year long! Owing to it’s prime location in Southwest Florida, Hideaway Waterfront Resort & Hotel is a great hotel and resort destination to vacation or visit friends and family (check today’s weather below!). 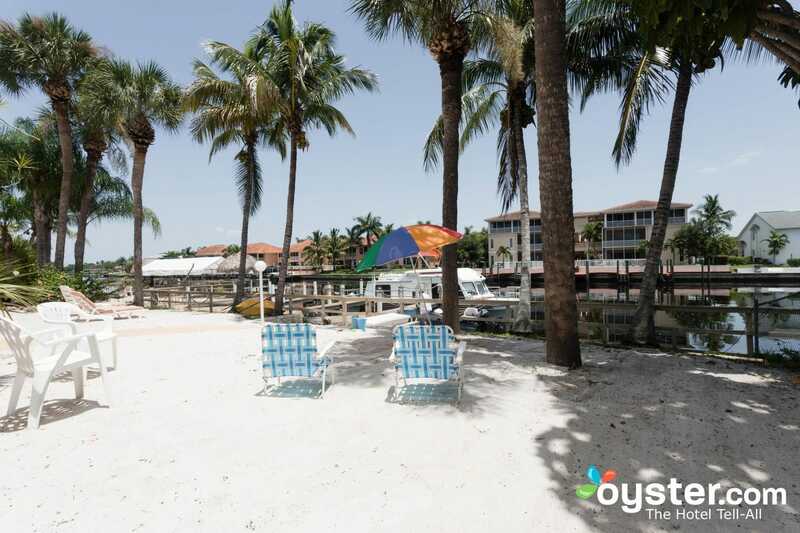 Looking for an extended stay hotel in Cape Coral? Give us a call! ‘Your Perfect Vacation in Paradise’ awaits! 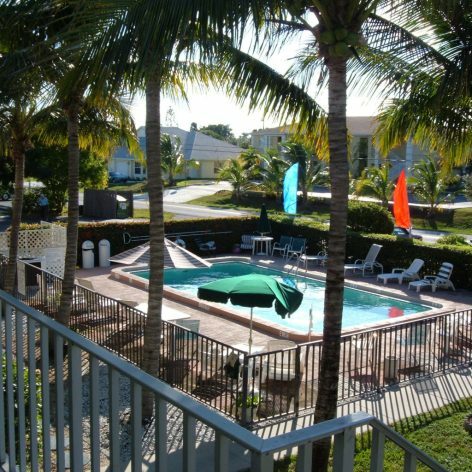 Take a video tour of the Hideaway Waterfront Resort & Hotel in Cape Coral Florida! Click the video to watch! Learn More About The Hideaway! We have great reviews and we're close to area interests! Our great reviews and TripAdvisor Certificate of Excellence speak for themselves Check out our reviews, by clicking here to read! Check out local Area Interests in and around Cape Coral …we’ve got a great page of recommendations and ideas, and links to other popular resources too! Ready to make a reservation? Wondering about extended stay, pet-friendly rooms, things to see and do, or other planning needs? Contact us and ask a question! Contact Information.